Every last Wednesday of the month Women of Wearables members come together around a topic that is important to our Bay Area community. We host a variety of opportunities to learn, connect, and collaborate, from panel discussions to interactive workshops. These meetups are designed to showcase the women innovating in wearable tech, fashion tech, IoT, health tech, VR, AR and all in between. WoW is not just for professional women, but for anyone with an interest in wearable technology and providing women with a platform for growth. We welcome trans women and men, non binary folks, and allies. More important than your gender identity (or lack thereof) is that you're a supportive and contributing member of our group. 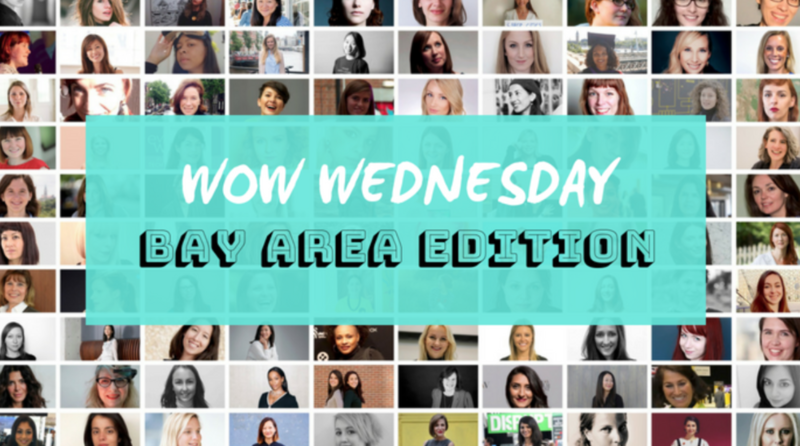 Become a member of our Bay Area Women of Wearables Meetup Group to stay up to date on future meetups! Thank you to Sahrye and Hal for leading our latest WoW Wednesday Workshop all about Fashion Technology. 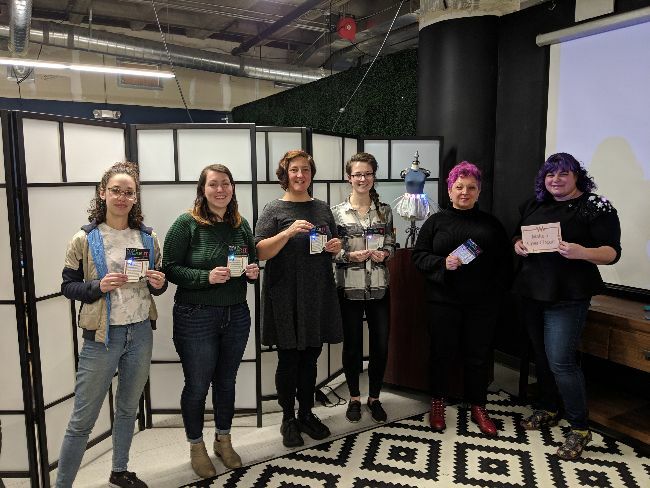 Our January attendees got the opportunity to learn about some of the exciting projects from Sahrye and Hal's new book, "Make It, Wear It: Wearable Electronics for Makers, Crafters and Cosplayers." We also got the chance to get hands on with our very own paper circuits with LED lights. Look at them glow! 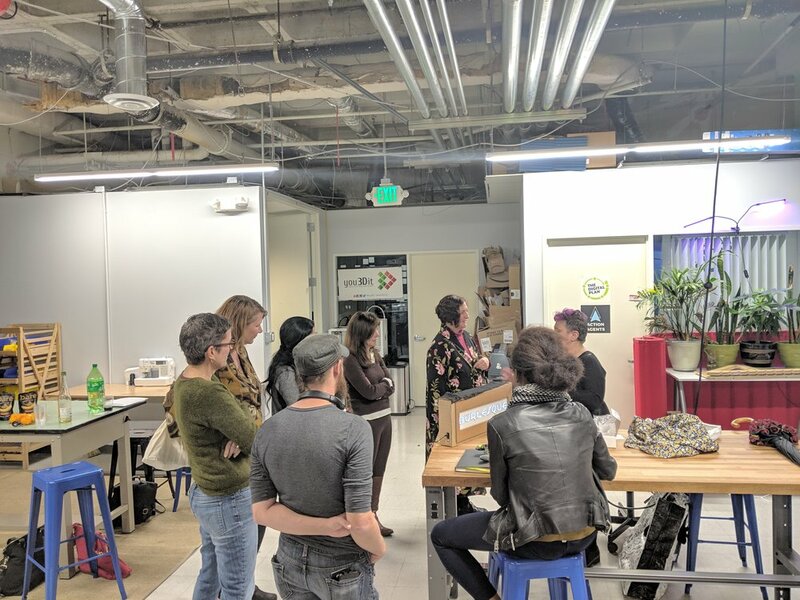 For our December meetup, we gathered at the Port Workspaces new Makerspace in downtown Oakland for a tour of the tools and resources available to our members there. We were joined by the director of the Makerspace, Lina Ahs, who has an expertise in textiles and was previously an instructor for Textile Design and Color Theory at San Francisco's Academy of Art University. Also in attendance was the Port's own COO, Karen Wertman, who has long been a supporter of the local maker community in Oakland. At each of our gatherings, we get to hear who is in the room, the projects they're working on, and their areas of expertise and interest. This latest meetup brought together the usual crowd of makers, designers, and technologists who participated in a roundtable discussion about supporting our local WoW Woman Rupal Asodaria, who was in the midst of a Kickstarter campaign for her new product, the NursElet Convertible Diaper Bag, which is now fully funded on Kickstarter! Every WoW Wednesday sees an interesting group of innovators come together to connect, and it never fails that we enjoy some show and tell of their latest projects, like the cool illuminated burlesque sign (featured below) designed by Amy Jenkins. Jenkins is a life-long tool user and DIY enthusiast. She is currently developing educational handcraft kits in her Oakland studio. Near the end of our gathering, we enjoyed a surprise demonstration from one of the innovative startups that calls the Makerspace home, and this rounded out our evening of connection and show and tell perfectly. Our first San Francisco event, Paradigm Shift, brought together a panel of women in leadership roles from different backgrounds and industries to discuss topics like overcoming impostor syndrome, the importance of self-care, and how to grow the talent pipeline for the next generation of leaders. Special thanks to Galvanize for hosting us and to our cohost Stilobox! We also had the opportunity to raffle off tickets to some amazing conferences thanks to Women in Tech International and Women in Engineering, in addition to a private TNLP session from Jenni Yang. And more thanks to everyone who joined us and to the amazing panelists and moderator, Karissa Barnett, Roya Sabeti, Ritika Puri, Kitty Yeung, Jenni Yang, and Sonja Trauss!